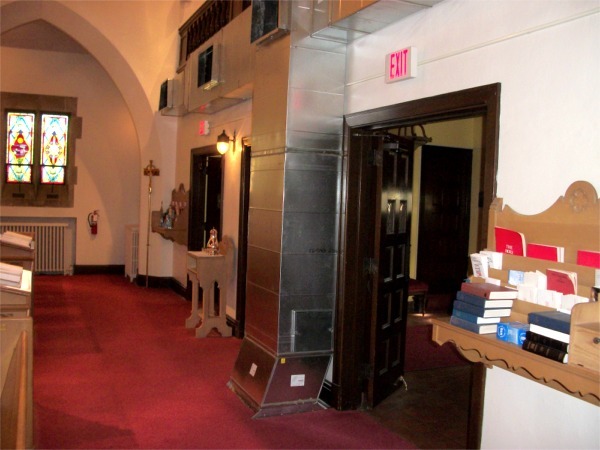 I attended Saturday Bible Study at St. Paul’s today and found some surprises. Well, the first surprise was really no surprise at all. The late service tomorrow has been postponed from 10:45 to 11:00 because of the visit of Bishop McConnell. So, did we change our sign on the front lawn? Do you have to ask? Below is a picture from this morning of what has become our set-it-and-forget-it sign. I did not attend church last Sunday and so did not hear the announcement that we were actually installing air conditioning in the church. This morning, I saw the results of the installation so far. The first thing I saw was duct work visible in the undercroft. Because I just posted a picture of the newly renovated undercroft, it seems appropriate to begin with this picture. Notice the new duct work at the end of the room covering part of the rightmost air conditioning register in the bulkhead. Presumably, this will be prettied up some, but the bulkhead will surely be asymmetric in the end. The duct in the undercroft goes through the floor at the back of the nave. 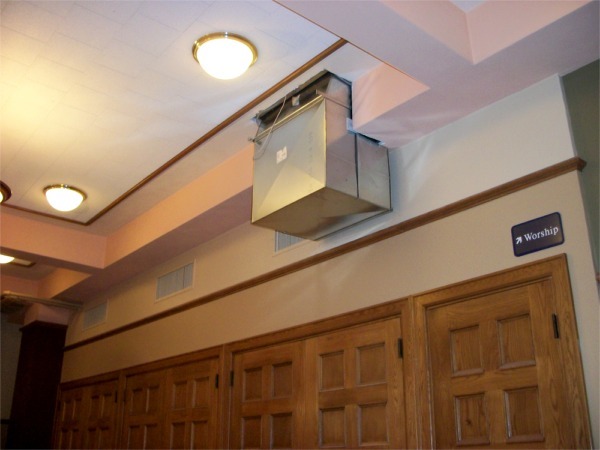 Parishioners may be surprised to know that the new air conditioning being installed will be supplemented by the portable units we have used it the past. One doesn’t have to be a rocket scientist to realize that the four registers at the back of the nave cannot cool the entire church, at least as long as the air isn’t being pushed through at supersonic speeds. I am told that the existing air conditioning at the back of the undercroft is more powerful than is necessary. It will be replaced with new equipment with even greater capacity, a smaller footprint, and greater efficiency. The upgraded equipment will be used to cool both one end of the undercroft and one end of the church. Why are we implementing this particular air conditioning plan, which will not eliminate our use of portable units and may have other disadvantages? (More on this later.) The simple answer is money. To do the job right apparently would cost about three times the estimate suggested in the capital campaign literature. (I never thought the numbers were credible.) Apparently, however, we said we were going to air condition the church, so our leaders felt it was necessary to do so, even if it had to be done on the cheap. 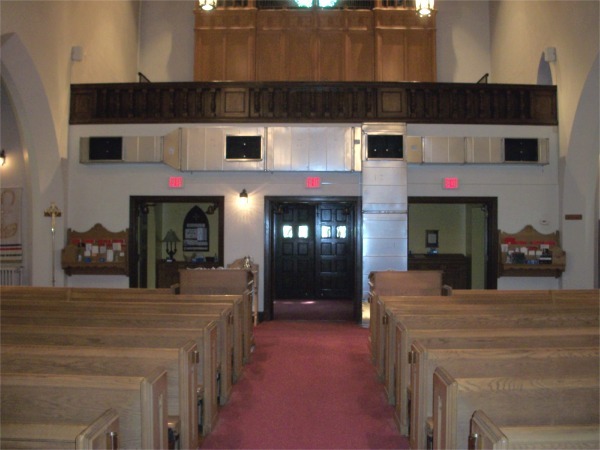 I have never been a fan of the portable air conditioning units, but, though less than ideal, they made summer worship in the church bearable, bordering on comfortable. 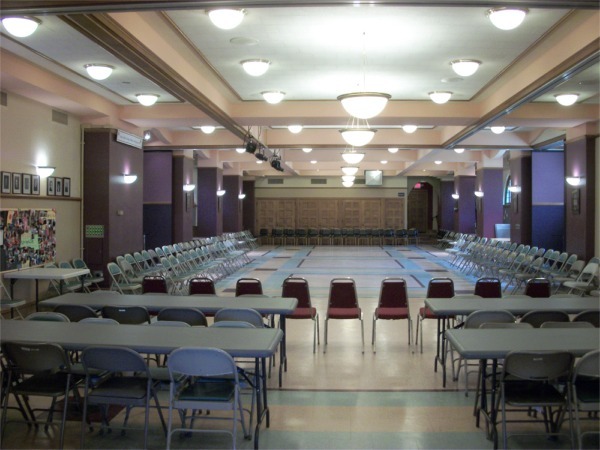 St. Paul’s is now spending a good deal of money on what is an obviously temporary expedient likely to improve summer cooling only marginally. We will, however, have increased the incentives to sit at the back of the church, rather than at the front. 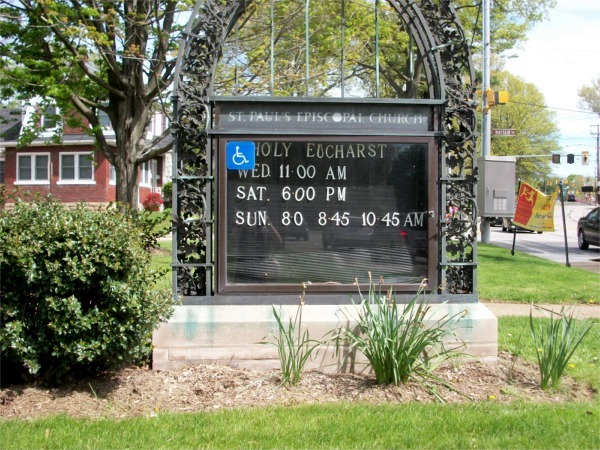 I believe it would have been wisest to admit that we do not have the money to air condition the church properly and to continue using the portable units until the job can be done right. If money were no object, I’m not sure what would be the best plan for putting cold air into the building. Retrofitting a building like St. Paul’s is not at all straightforward. I suspect, however, that one of the best plans might have been to run ducts along the roof trusses, thereby supplying cold air from above. One can offer aesthetic objections to such a plan, but it is commonly used in restaurants and other public buildings and often goes unnoticed. 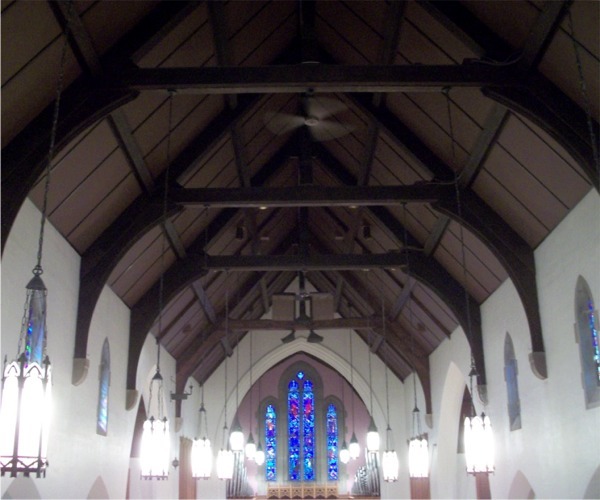 Would ducts above the congregation be too obtrusive? Update, 5/7/2013: I may have misunderstood just how the ducts in the nave are to be sheathed. The intention may simply be to box in the ducts, rather than create a new wall at the back of the church. (I have not actually seen any plans.) I fear that we could end up with a wall that looks like it is being parasitized by some giant fungus.